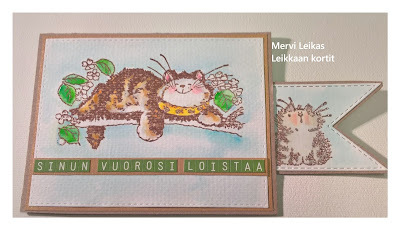 Hei, huhtikuun haaste alkaa Leimaillaan ja väritellään blogissa. 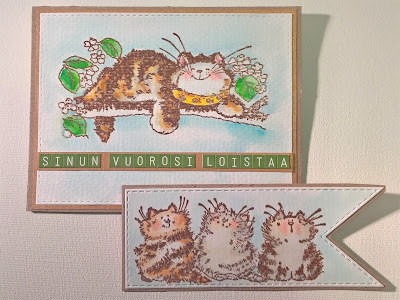 Tervetuloa mukaan, ollaan "piilosilla" aiheena. 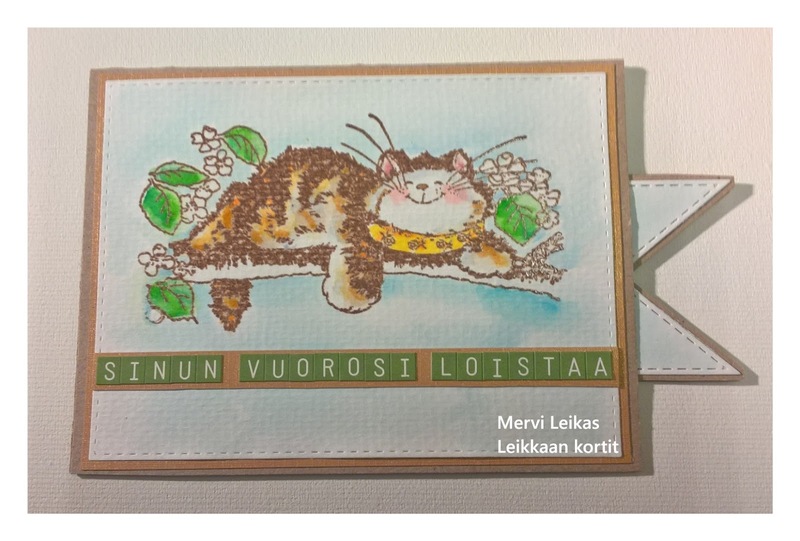 Leimat Penny Black'in, väritys Zig vesiväritussein. Nopea kortti: liimasin 2-puolisen korttipohjan kiinni, jätin sivuun aukon tervehdykselle. 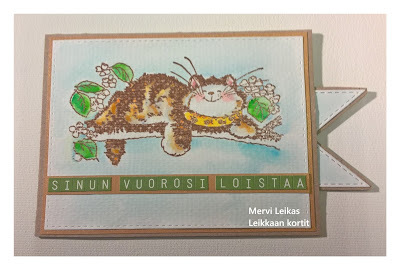 Hi, my Dt sample for Finnish Stamping and Colouring Challenge, the theme is "in hide". This is a birthday card to my sister, from the three of us! Stamps: Penny Black:1454K diamonds are forever and 1464J who?me? Colouring with Zig CCRB watercolours. 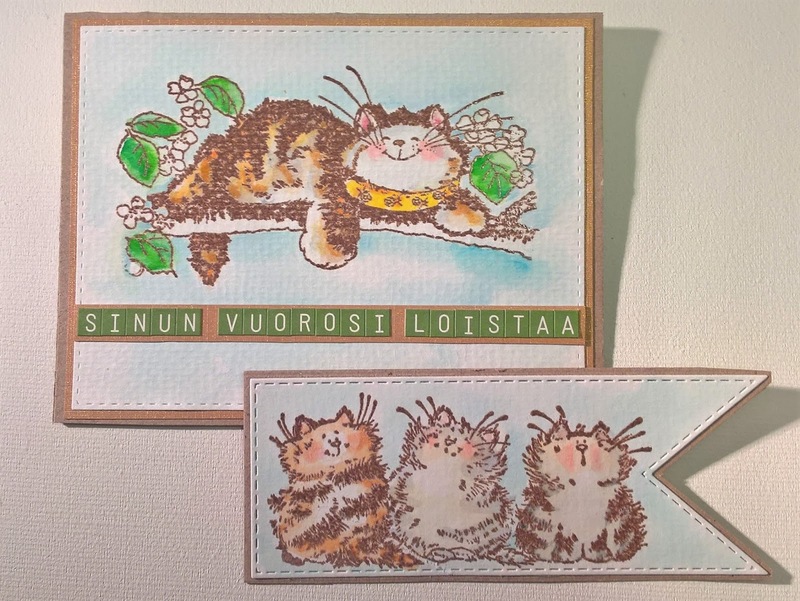 I love the hidden tag and the cute little cats! Lovely card for your sister! Thanks for sharing it with us at Lil Patch of Crafty Friends! 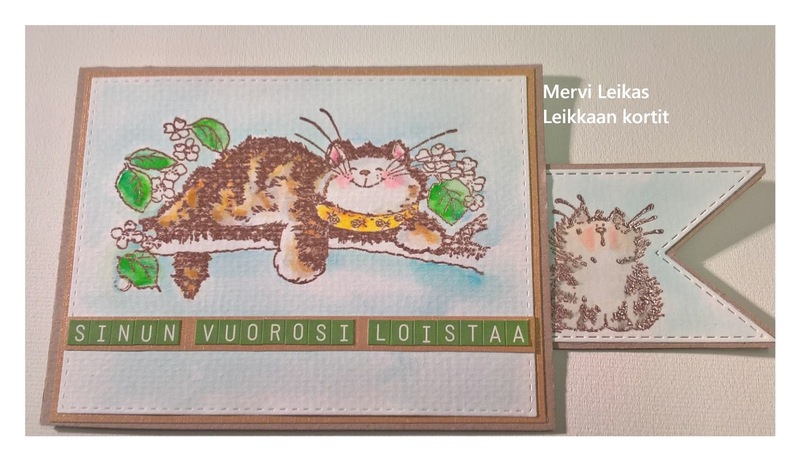 Such adorable cards Mervi, love the cat! This is very cute!! And the hidden tag is a fun surprise! Thanks for playing with Di's Digi Designs. So pretty card! Thank for playing with us at Di's Digi challenge.